Reproduction Coney Island Rocket Ride. 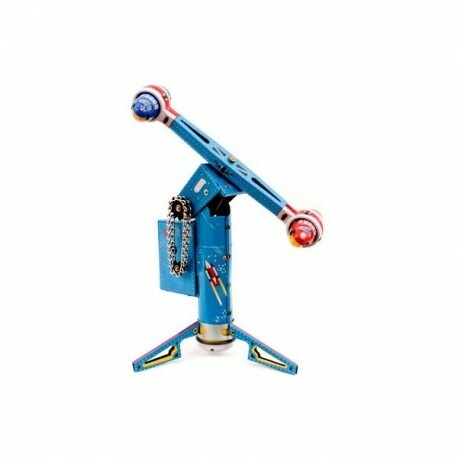 This lithographed Rocket Ride is a detailed reproduction of the original 1950s Coney Island amusement ride. 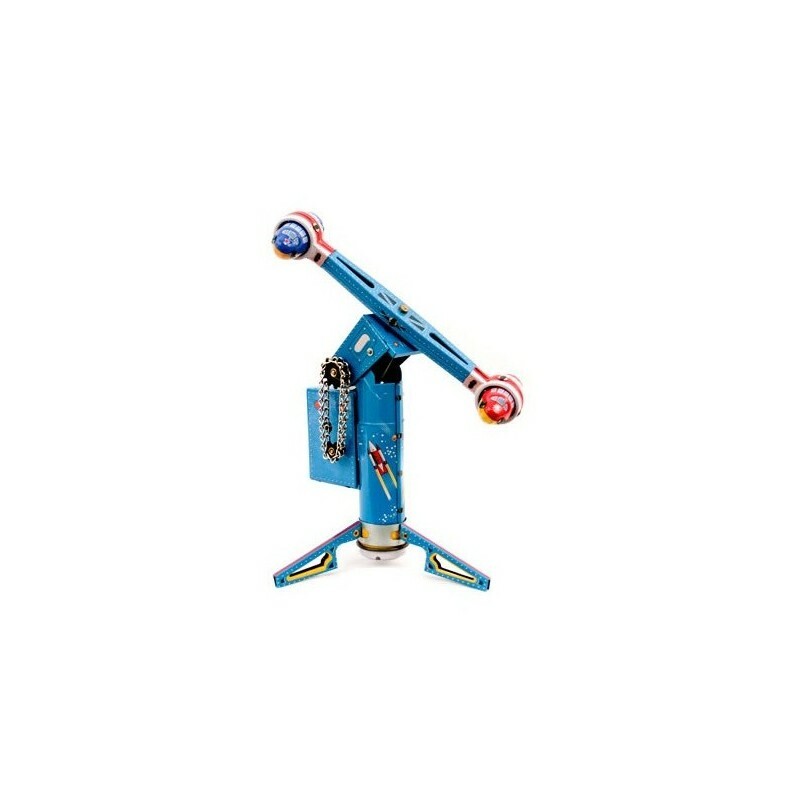 Wind up this sturdy toy and you will be able to watch the ingeniously complex mechanism bring this ride to life. 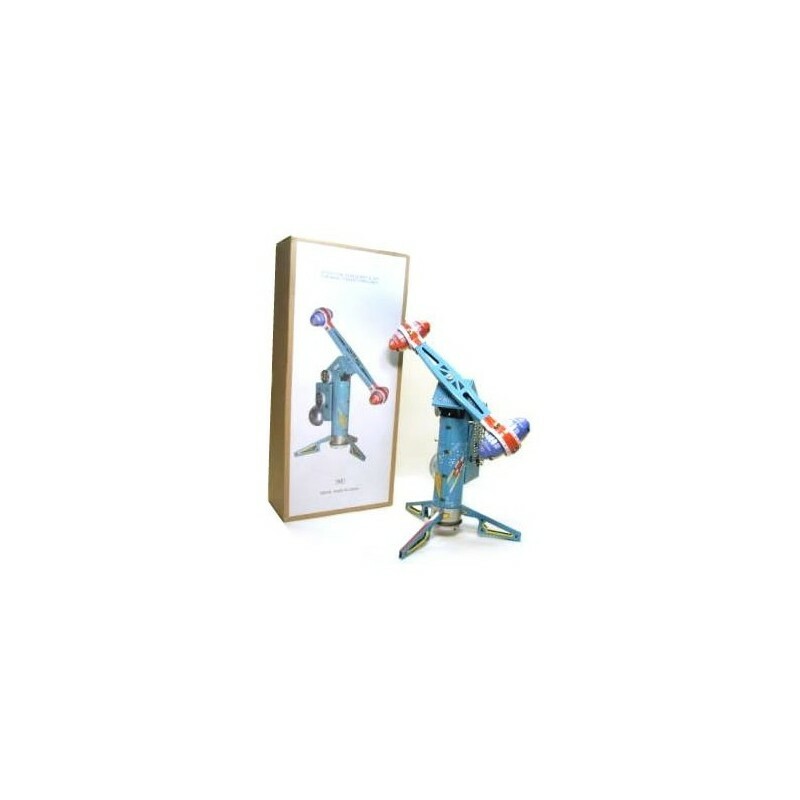 The chain drive rotates the ride while the bullet rockets spin and the silver bell is rung. 21cm tall. Supplied with key and kraft box with a color graphic top.